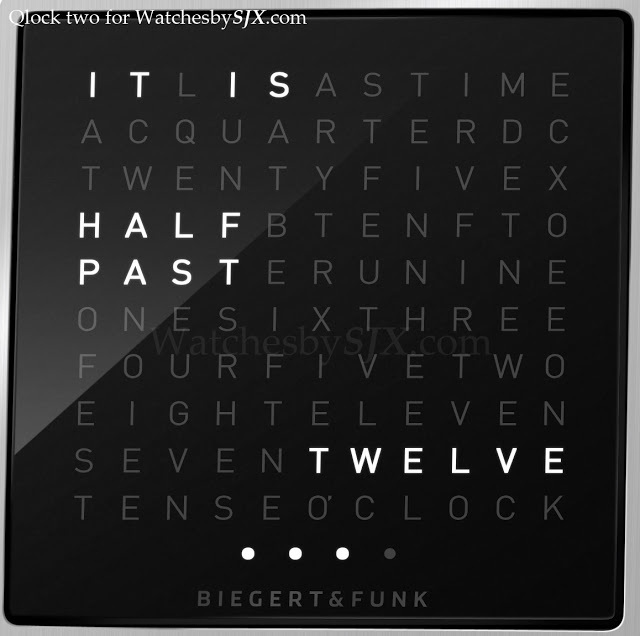 Qlocktwo, designed by Biegert & Funk, makes a clever, minimalist clock that requires reading the time – literally. 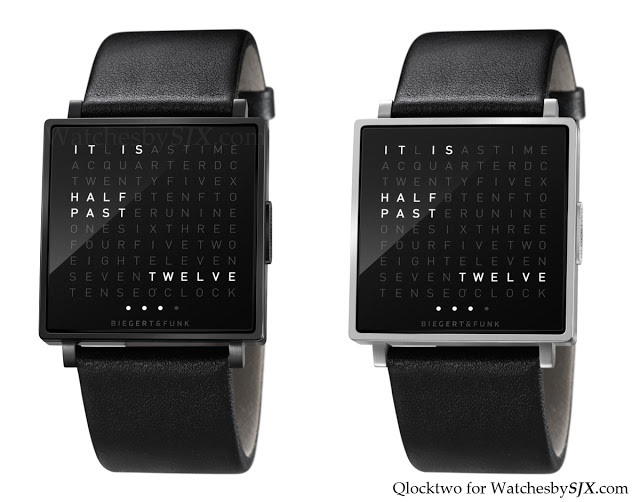 They have just unveiled the Qlocktwo W at Baselworld 2012. This is the wristwatch version of the Qlocktwo clock and works exactly the same way. Press the button at three o’clock and the dial lights up to tell the time. But press the pusher twice and the calendar day is displayed; press it three times and the seconds are indicated. Currently the only languages available are English and German.